The device will also be able to talk directly back to the user. 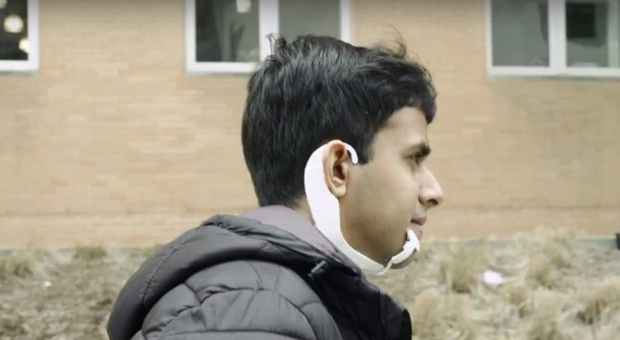 Researchers at MIT Media Lab have developed their own device that can engage in conversations with voices inside your head. The new AlterEgo device will enable users to “silently converse” with it, just by their own thoughts. 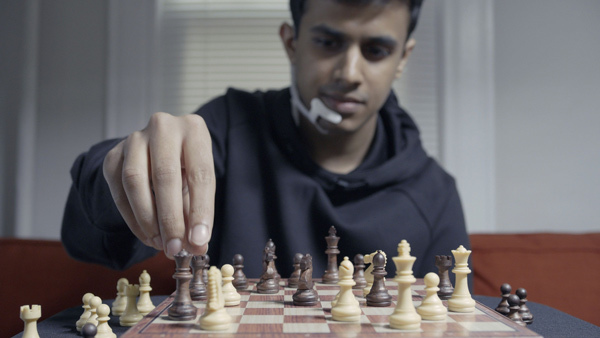 AlterEgo uses electrodes to pick up on neuromuscular signals from the user's jaw and face which are triggered by internal verbalizations. Dezeen.com reports: These signals are then sent to a machine-learning system that has been trained to associate certain signals with certain words. A pair of bone-conduction headphones included in the device transmits vibrations through the bones of the face to the inner ear. As the headphones don’t obstruct the ear canal, this means the system can pass on information to the user without interrupting a conversation or interfering with the user’s aural experience. Some of the centre’s more recent projects include a range of “living jewellery” that roams across the body as a tiny personal assistant and a tattoo ink that changes colour according to varying glucose and pH levels inside the body.